garden: patio style | eat. drink. fly. i love my outdoor space. i don’t have very much of it, although my patio is large for condo standards, it’s still just a patio. but i make do with what i have to work with and try to squeeze in every last bit of space into something functional. 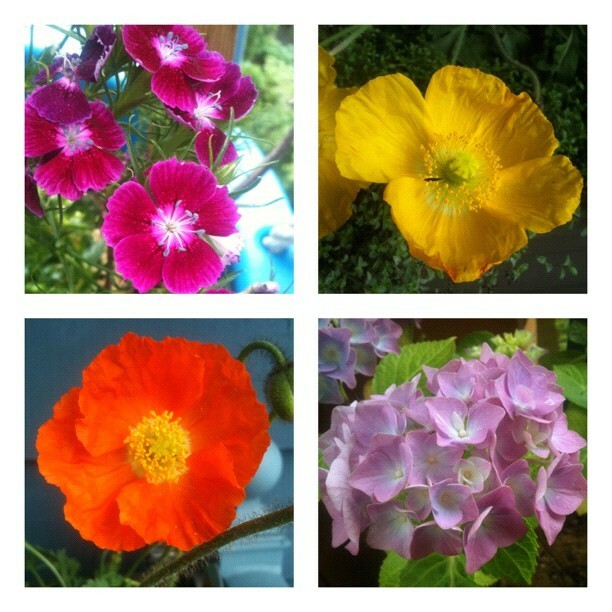 and as such, i don’t feel i have much time for flowers. i just really don’t care that much. i’m a plant girl. i like the green. but i’ve been making an effort to incorporate a little colour this year. and these are some of the fruits of my labour. what i really enjoy is growing the “useful” plants. herbs and vegetables and fruits and things i can eat. 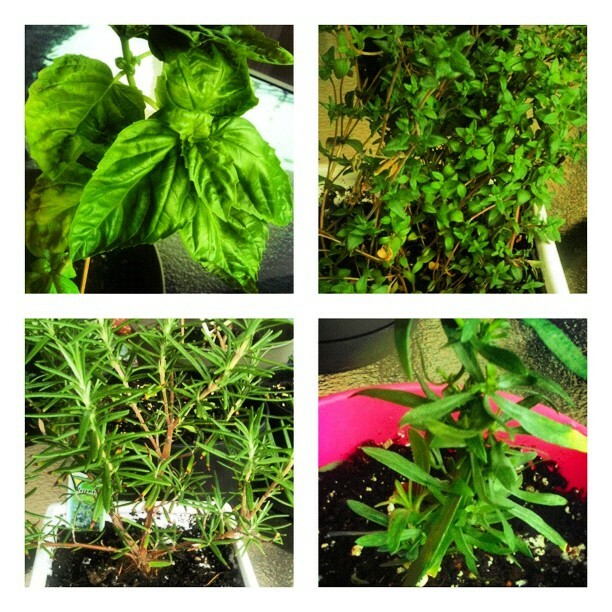 this years herb garden is coming along nicely, although i think i’ve gone overboard on the basil. somehow i’ve ended up with 5 pots of basil. so clearly, pesto is imminent. but this year i’ve also go some rosemary, thyme and tarragon. and then i get into the really useful plants. in the past i’ve always tried to grow tomatoes. but this year i’m just accepting defeat and not wasting my money. tomatoes just do not want to grow on my patio. but in turn, i’m trying a few new things. like dwarf zucchini plants that i can grow in a pot. and yellow wax beans. and kale. 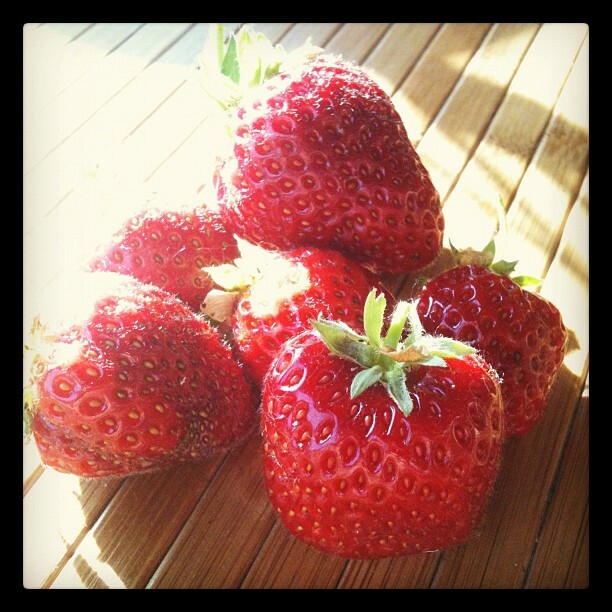 and then of course, the good old standby – strawberries. 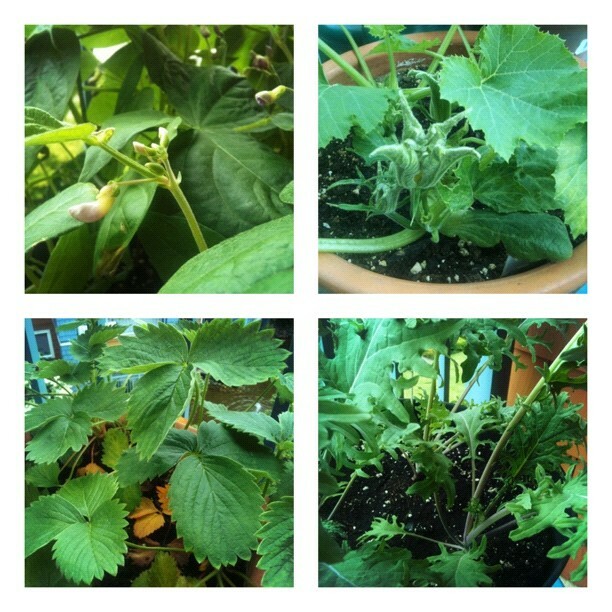 i’ve had my strawberry plants for 4 years now and they’re still going strong. well, i’m okay with it. Coral is getting our patio looking pretty choice this summer too! Condo living! gotta use the space! It’s true. Gotta maximize what you’ve got.